Enhance performance under environmental stress. 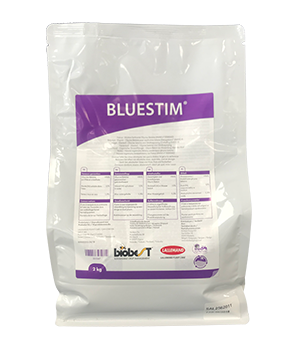 Bluestim® is a natural occurring osmolyte for foliar application that contains >96% pure glycine betaine. This powerful osmoregulator protects plants against extreme conditions such as drought, temperature changes, salt stress and water stress. As a result, plants are less susceptible to blossom end rot, cracking and tip burn. Treatment with Bluestim® also results in a better preservation of fruit.